If you’ve been a blogger long enough, you will have stumbled upon Bloggers Passion. It’s one of the most helpful blogs out there if you are serious in making money with your blog. You can thank Anil Agarwal for that. 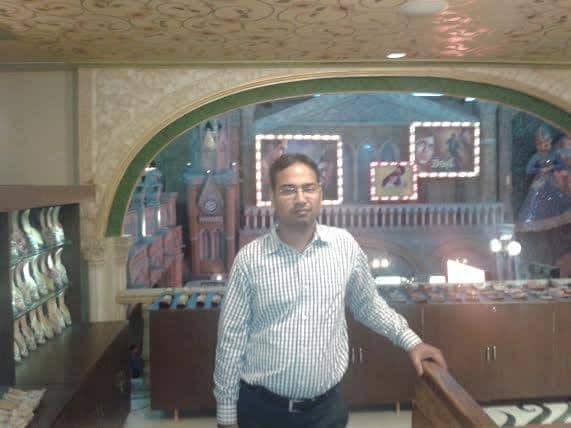 Since 2010, Anil has been sharing information on how you can turn affiliate marketing as a viable alternative to your 9-5 job. 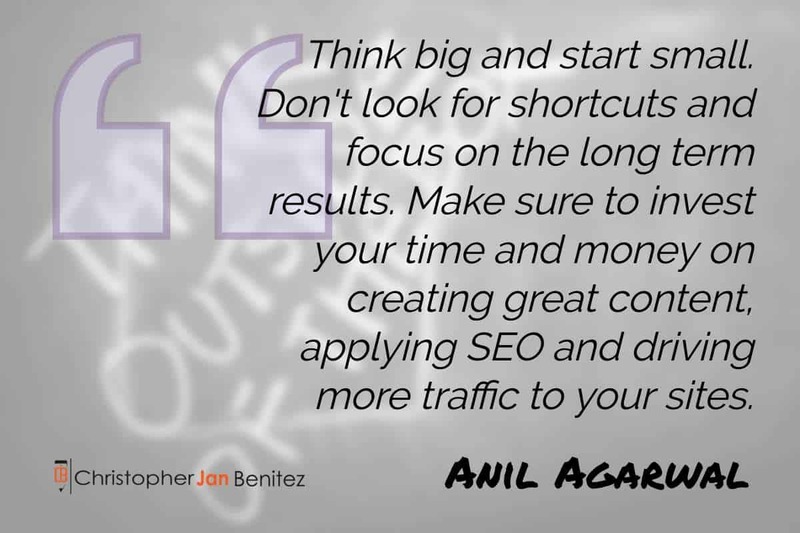 Inspired by the likes of John Chow and Darren Rowse, Anil has been an inspiration to today’s generation of bloggers, myself included. It takes hard work and determination to achieve what Anil has reached in his life, and he still continues to break new ground with every post he writes. 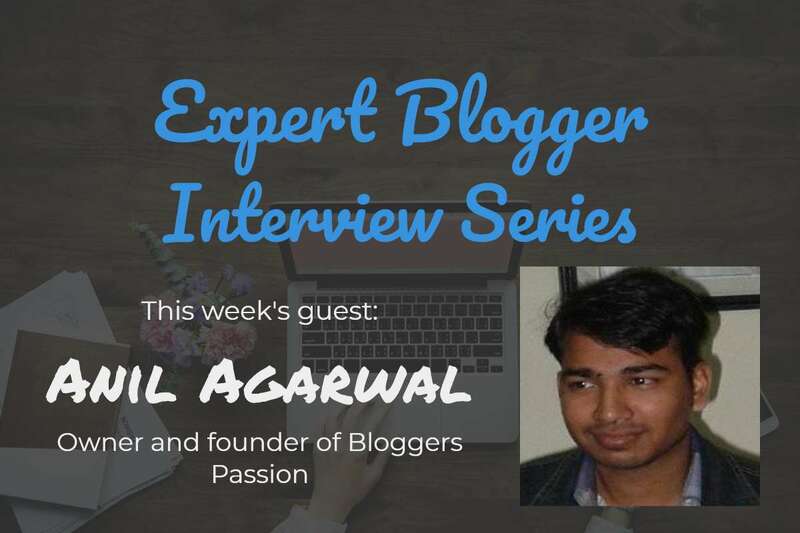 I am lucky enough to catch Anil during his downtime as he’s gracious enough to answer my questions about his blogging journey and what it will take for newbie bloggers to reach the level he’s achieved so far. 3. What was the biggest obstacle you had to overcome as a beginner blogger? 11. If there’s any one advice you would say to a starting blogger, what would it be? Initially I used to work with other firms to get better rankings in search engines like Google. Once I knew I can start a website on my own and make it profitable, I decided to go all in. I was already into professional blogging before my blog Bloggers Passion started earning decent income every month. Before starting out with blogging, I was into SEO profession where we were supposed to get top rankings for the websites assigned to us. As part of creating backlinks, I started using free blogging platforms like Blogger and WordPress. From there I get into the world of blogging and created several blogs by myself (bought few domains and sites) and tried a lot of other things to make money from blogging. Not only me, almost every beginner blogger struggles with one thing: getting more search traffic. No matter what industry you are in, it’s a daunting task to increase your organic rankings. So my biggest obstacle when I first started professional blogging was to drive more traffic and leads from search engines like Google. I tried a ton of things from creating in-depth content to using various link building strategies to attract more organic traffic. My advice for beginner bloggers is don’t stop when you don’t get results quickly. It takes time. You need to spend at least 1 year into building a blog that make money and generates traffic. There aren’t many. When it comes to building any business (be it online or offline), you had to go through horrible instances which is common and you shouldn’t give too much fuss about them. The post on best affiliate programs is one of the best blog posts we’ve written so far on Bloggers Passion. It is a very detailed blog post where you can find over 100 of the best affiliate programs to earn more money as an affiliate. It’s around 16,000 word long post which took a ton of time for research, write, edit and publish it. Here are 3 of my blogging friends I personally feel best at what they do. Leverage. The art of leveraging your time and blogging efforts can make or break your blogging success. Learn how you can automate the process such as content writing, promotion, SEO etc. Learn where you need to spend 80% of your time to maximize your blogging profits. Don’t do all the stuff by yourself. Learn how to use other people’s skills to build a profitable blog in the long run. Outsource what is required. Spend most of your time on promoting your website and driving quality traffic from search engines. You’ll soon be able to build a profitable blog that makes great income. Personally I like both SEMrush (affiliate link) and WordPress SEO by Yoast as they are helpful in generating more search traffic and sales to your website no matter what industry you are in. That being said, here’s a list of all the blogging tools I’ve been using to run my site and I highly recommend these products if you’re serious about taking your blog to the next level. Bloggers Passion is definitely a successful blog as I’ve been running it since 2010 and it is making decent income every single month (at an average of over $5000 per month) and the income is growing every single year. We also write income reports for Bloggers Passion every year where we break down all the income sources along with expenses and strategies we used to take our blog to the next level. Video blogging will rule the future. So if you’re only creating textual format of content or blog posts, give videos a chance. Make video tutorials around the products you promote and start a YouTube channel sharing your personal tips and strategies to succeed in your field and so on. Just try a lot of other content distribution channels. Try infographics, podcasts and find out what’s working well for you. Think big and start small. Don’t look for shortcuts and focus on the long-term results. Invest your time and money on creating great content, applying SEO and driving more traffic to your sites. If you want to get more traffic from search engines, create long form of content. Try to publish 2000+ word articles by keeping your primary and secondary keywords in mind. Don’t go for huge search volume keywords (pick those keywords with less than 1000 monthly searches for better rankings). The key to building a profitable blog is to think long term, work super hard and find out ways to increase your blog’s visibility online. That’s how you succeed in the blogosphere. Thanks for reading my interview with Anil Agarwal! If you have comments about the post or questions you want to ask Anil, please leave your comments above and I’ll be more than happy to reply to them.